All through the Spring we've heard the woodpeckers tap-tap-tapping away in the trees around the house, but they're everso hard to see. 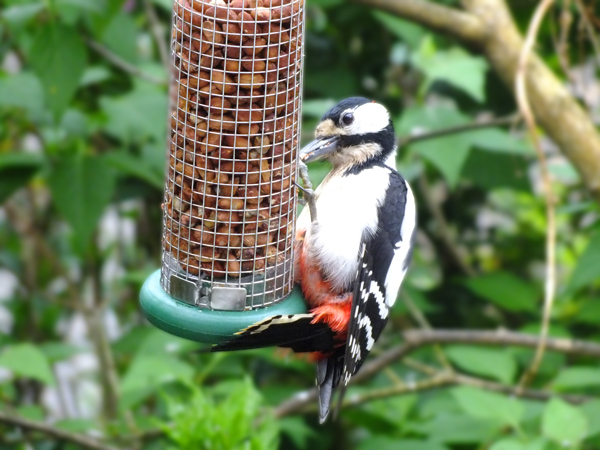 However about now the young are hatching and that brings the parents into the garden once again, as they do every year, to pinch the peanuts from the other birds to help feed their young. It's one of those annual sights and it's great to see, we took this photo this morning from the breakfast room.